Sometimes items come into the store with histories shrouded in mystery. This month we received various pieces off of a decommissioned wooden vessel. Built in Europe in the late 1920’s, the Norden was used as a herring trawler for year before it was turned into a two-masted pleasure schooner in the 1980’s. 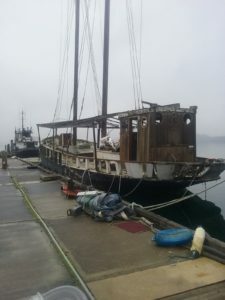 After it’s retro-fit, the Norden ended up at West Sound Marine on Orcas Island. Purchased by two gentlemen from out of state, the Norden was in the process of being restored when it was abandoned. 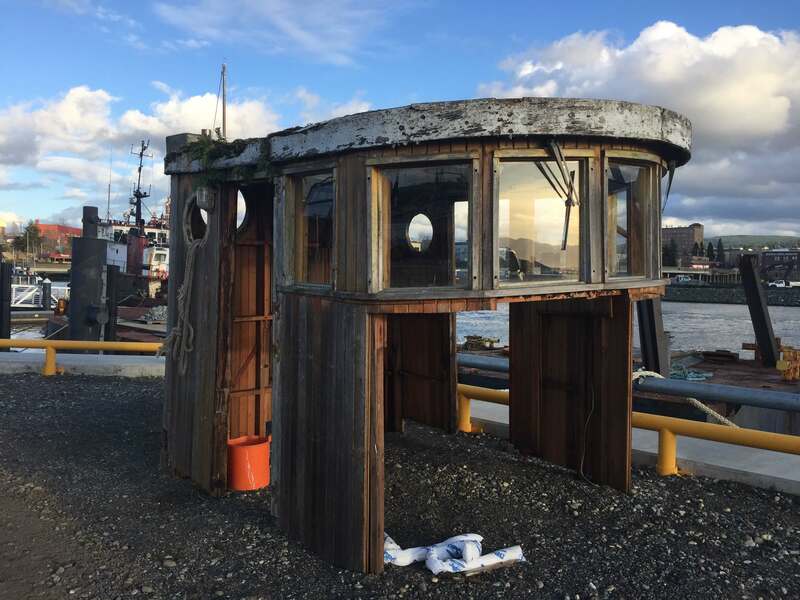 Due to its dilapidated condition, there was a fear that it would sink. The Norden was entered into the San Juan County Derelict Vessel Program, and towed to Bellingham for demolition. Once in Bellingham, it was determined that it was too heavy to lift onto dry dock. After years of sitting in water, the Norden had become so saturated that it gained many tons in weight. Much of the structure above water level was disassembled and the engine was removed before it was hoisted onto the wharf. From there’s it’s been assembled and parted out. 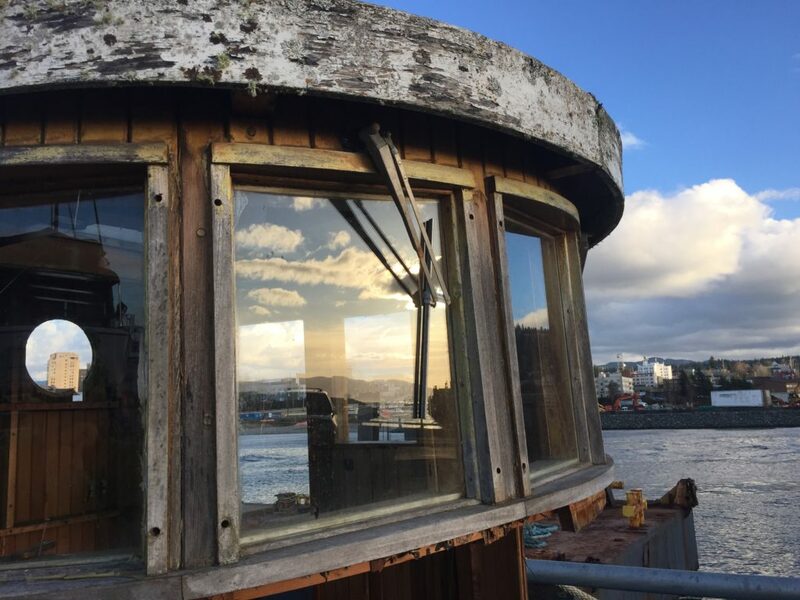 We were lucky enough to receive Mahogany decking and the partial wheelhouse. We’ve done our best to piece together the history of the Norden. Do you know anything about this ship or ones like it that add to the story?